The Marina at Puerto Los Cabos is the gateway to the Sea of Cortez and the world’s finest sport fishing grounds. Just ten miles from the renowned Gordo Banks, Puerto Los Cabos fishing departures put you closer to the fish that "didn't get away" plus, providing you with the most memorable deep-sea, big game fishing experiences of a lifetime and making it dollar for dollar the best alternative for fishing in Los Cabos. With boat slips that hold boats of up to 400 feet in length the Marina at Puerto Los Cabos provides the most exclusive, all-inclusive, secure, fully enjoyable and relaxing destination experience that you will find anywhere in Mexico. Designated a “4 S” Marina, Puerto Los Cabos provides security, service, shelter and serenity in pristinely beautiful natural surroundings in a friendly, service oriented tranquil atmosphere. Currently at the Marina at Puerto Los Cabos there are 200 slips available and a boatyard with Drystack and a 150-ton travel lift in place. The Marina at Cabo San Lucas is a modern Island Global Yachting branded facility strategically located at the very tip of the Baja Peninsula. Ideally situated at the mouth of the Sea of Cortez, this marina in Cabo San Lucas welcomes fishermen, cruisers, sailors and yachtsmen. 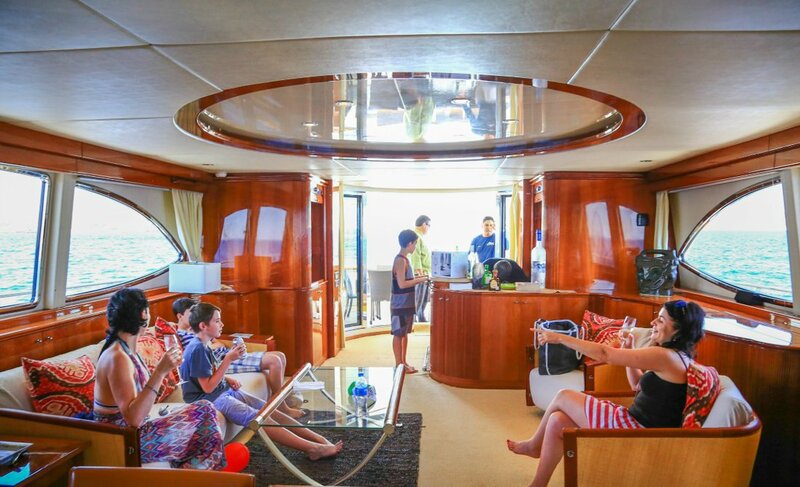 Accommodating yachts up to 357 feet with a 24-foot draft, the facility is home to a total of 380 slips, encompassed by a bustling upland, boasting restaurants, bars, high-end shops and smaller retail stores to reach a broad array of tourism. Unquestionably one of the world's foremost yachting, sport fishing and mega-yacht lifestyle destinations, this is the best of Cabo San Lucas marinas and offers an outstanding range of on-site conveniences including a fully operational boatyard, modern fuel dock with high speed pumps, pump out services, water services and a full array of amenities available to owners, guests, captains and crew. 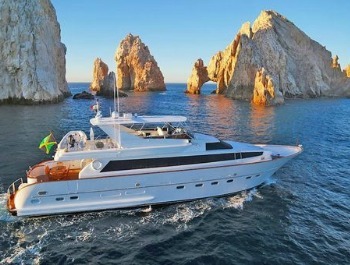 At Marina Cabo San Lucas, you can embark on all kinds of sport fishing and recreational charters. From deep sea fishing day trips and whale watching adventures to sunset sailings and catamaran cruises, the seafaring fun awaits. The area is also famous for its impressive variety of water sports, miles of beaches, desert trails and mountains to explore. Discover the treasures of the Sea of Cortez on a SCUBA or snorkeling excursion; glide along the sky via parasail; venture off-road to delve into the Baja desert just outside of Cabo; or simply bask in the glistening sun along Cabo’s crystal-sand beaches. Plus, with fourteen beautiful golf courses along the 25-mile corridor connecting Cabo San Lucas with San Jose del Cabo, golf aficionados will get to see why Golf Digest declared Los Cabos to be one of the world’s top 15 golf destinations.